Sting Junior Unisex Mettle Boxing Shorts are Junior Amateur Boxing Uniforms made from 100% Polyester interlock material, and feature an athletic cut for freedom of movement and climate control. Sting Junior Male Mettle Boxing Singlet are Junior Amateur Boxing Uniforms made from 100% Polyester interlock material, and feature an athletic cut for freedom of movement and climate control. adidas Rookie Head Gear is perfect for making sure you stay protected when taking to the ring. It features a hook and loop tape fastening to both the back of the head and chin to ensure a secure fit. It also comes in small sizes for junior boxers. Named Fuzion for their hybrid functionality, these shorts from Bad Boy are ideal for transitioning from the treadmill to the mat, for multi-sports athletes or fighters who prefer to mix their cardio and grappling training. Unique for their super stretch material, which is a blend of polyester and 15% spandex, these are most flexible training shorts to date. Perfect for running and striking, without restricted mobility. The Fuzion shorts also incorporate a practical side pocket for your Mouth Guard or Music Device. With a secure double closure mechanism including cross Velcro fastening plus a non-slip silicone tread drawstring on the inside of the waist for a great fit every time. Everlast Adjustable Jump Rope increases cardio performance, builds endurance, improves coordination and strengthens hands and wrists. Ideal for improving fitness level, building strength and endurance, and losing weight. Burn major calories with one simple action! Increases cardio performance, builds endurance, improves coordination and strengthens hands and wrists. Handles are smooth and molded for comfort. Ideal for improving fitness level, building strength and endurance, and losing weight. Lightweight and portable. 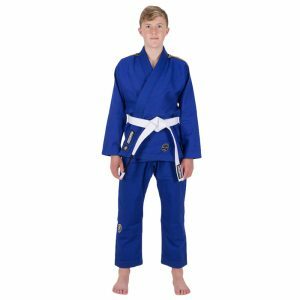 With the newly-designed, comfortable and classic Hayabusa® Sport Youth Training Shorts rest assured your children will be training in the very best. Designed with an ultra-lightweight, durable stretch fabric, these multipurpose shorts are guaranteed to deliver unrestricted freedom of movement and functional comfort to kids of all fitness levels. adidas Rookie Boxing Gloves are a great glove for the youth boxer. With a combination of great manufacturing and great price point, this is the perfect starting glove for juniors. The foam injected molding protects young hands while helping to condition proper striking form.